The red planet will surely continue to surprise us with all the details that are being sent back from NASA’s rovers exploring the red planet. If these are not artificial structures, then what are we looking at? Here is the link to the OFFICIAL NASA image where you can check out the object in question. It would certainly make sense to think that if a civilization had existed on Mars in the distant past like Dr Brandenburg suggests, we would be finding physical evidence of their existence. Dr Brandenburg has a PhD in Theoretical Plasma Physics from the University of California and he is currently working as a plasma physicist at Orbital Technologies in Madison Wisconsin. We know that the red planet had around 500,000 years ago, liquid water on its surface, this means that its atmosphere was very similar to that of Earth, which certainly suggest the possibility that life could have prospered on the surface and depths of the red planet. But how likely is it that Mars had Alien beings calling the red planet home? 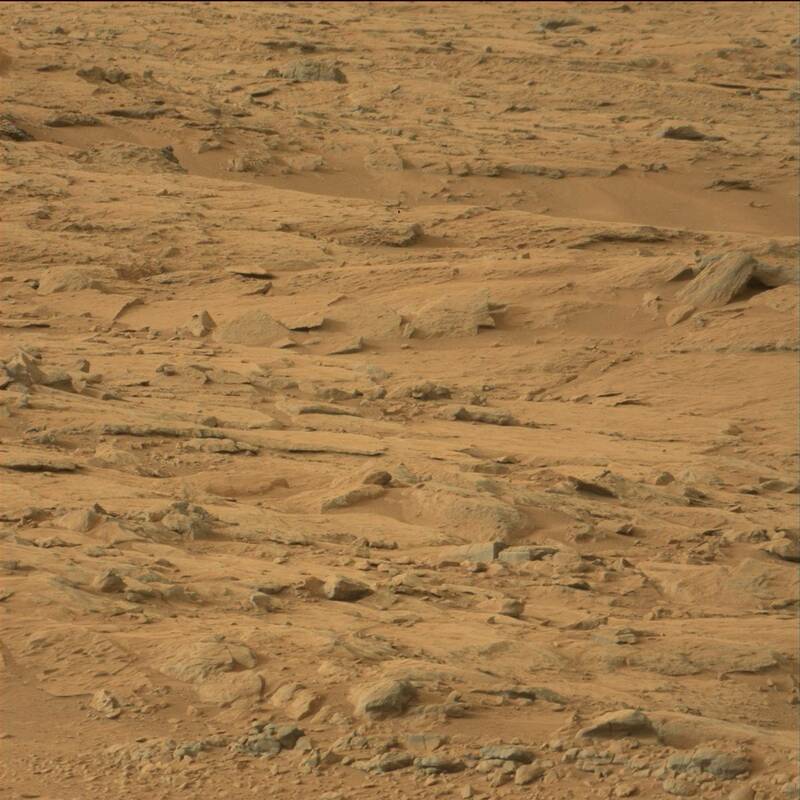 And if intelligent beings inhabited Mars in the distant past, would it be strange to find evidence of their existence today? The alleged structures seen in the image are certainly a bit weird. But does weird mean artificial? It could be that our brain is playing tricks with us again and that this might just be another case of Pareidolia. But in the same way, it could turn out to be that we are actually looking at something that “someone” constructed hundreds of thousands of years ago. It’s a 50-50 chance, since we cannot say for certain that something inhabited the red planet or not in the past. What we have to admit is that NASA’s very own “Alien” robots have found extremely weird things on the red planet. Remember the crab-like creature on Mars? Statues, Wheels, Pyramids? It’s a long list actually. Are these the result of Pareidolia kicking in, or is it possible that somehow, NASA’s rovers photographed the ruins of “structures” on the surface of one of the most interesting planets in our solar system; Mars.